Anyone visiting this region of California must make a stop to sample some of the world’s finest wine. Sonoma Valley is renowned for it’s giant selection of exquisite cheese, vegetables, and fruit as well as it’s superior wine. The valley is home to over 400 vineyards and wineries, so it can be a bit overwhelming when trying to figure out which ones to visit. We’ll try to help you sort it out with a closer look at a few the finer ones. 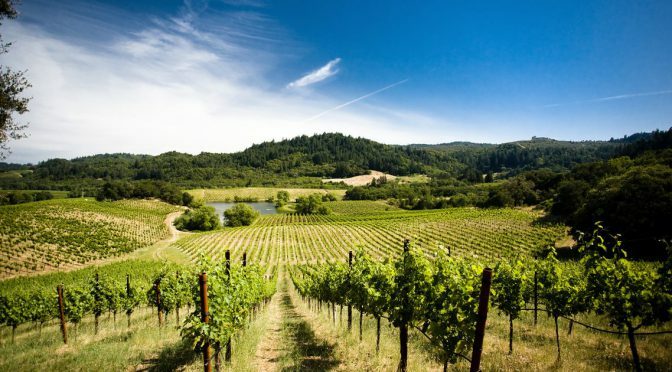 The Sonoma Valley is about an hour’s drive north of San Francisco and is a must-see for any wine connoisseur. Home to some of California’s finest cool-climate Pinot Noir, Chardonnay, Rhone-inspired wines, Zinfandel, Petite Sirah and Cabernet Sauvingnon, the valley is surrounded with gorgeous scenery, the beautiful coastline and the neighboring Napa Valley. If you plan on visiting any of these locations, be sure to check their website as some allow for online reservations and some even allow walk-ins. We’ll provide a link below. The vineyard is located in Freestone and was founded in 1973 by Joseph Phelps. The vineyard has been recognized globally since they released their first wines back in 2006 and specializes in Pinot Noir and Chardonnay. It’s family owned and operated estate has become an internationally critically-acclaimed winery known for it’s commitment to quality. Unlike many of the other wineries in the area, you do not need an appointment for a tasting. You can just show up and partake! The Buena Vista Winery was founded in 1857 by the eccentric pioneer Count Agoston Haraszthy and is California’s first premium winery. The exotic estate and historic building provide an experience that is more than just a wine tasting and more of memorable afternoon. 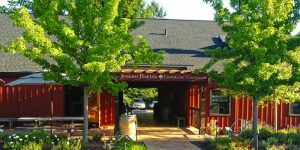 You can buy a bottle of their Pinot Noir or Chardonnay and savor it in the gardens surrounding the vineyard or take a tour of the winery and tasting room. The storied history of this estate is one worth visiting and you can do that any time of the year as they are always available for tours. 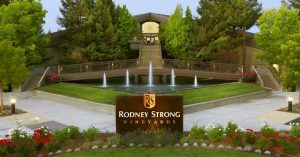 A visit to Rodney Strong Vineyards should be on the itinerary of anyone that considers their-self a wine connoisseur. Named Wine Enthusiast’s American Winery of the Year in 2013, the winery was established in 1959 by Rod Strong, a celebrated American dancer turned wine maker. Despite being the 20 th largest winery in the US, it still manages to have a smaller boutique feel to it. You are sure to notice the dedication to quality and brand loyalty which makes this a must-see. 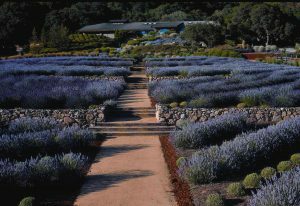 The Matanzas Creek Winery is tucked away in the Valley region of Sonoma County among stunning lavender and vineyard fields that make a perfect backdrop for your date. Established in 1977, the winery is known for their Sauvignon Blanc and Merlot and also has lavender products available in their shop, including a variety of soaps and lotions. This winery was founded in 1981, Ferrari-Carano is located in Sonoma County’s Dry Creek Valley and boasts reasonably priced wines and amazing views of the landscape. The elegant property is home to a vineyard that offers a number of different tours and tastings as well as an amazingly beautiful 5 acre garden. Make a trip to the Enoteca in the underground cellar and sample a variety of 5 different cheeses, chocolates, and wines. Founded in 1858, the GunBun Winery is California’s oldest continuously family-owned winery and is still owned and operated by the founder’s heirs and today. Experience a guided wine tasting of five current releases, learn about their history and winemaking practice that take place on the estate. Wines may include Sonoma Coast Pinot Noir, our famous Merlot, cool climate Cabernet Sauvignon, winery-exclusive varietals such as Tempranillo, Zinfandel, Cabernet Franc, and of course, our flagship Vintage Reserve.